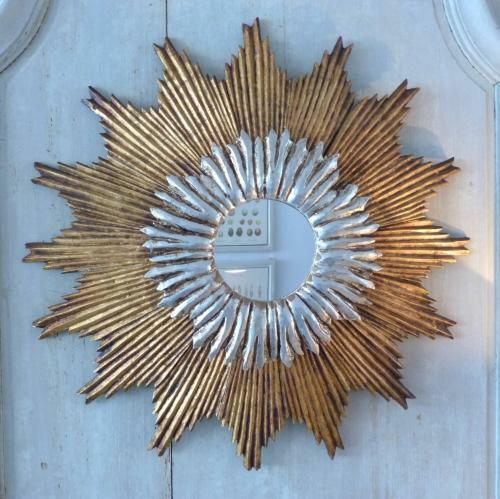 A large and impressive wooden sunburst mirror in silver and gold. Origin Spain. Circa 1950.